My father is an explorer. 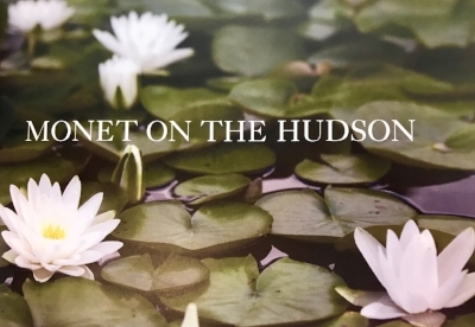 Get in a car with him for a drive across midtown Manhattan—or a road trip around New England or Europe—and along the way, he’ll share his deep knowledge of the places that slip by outside the window. That's because if it's somewhere he's visited, read about or even heard of in passing once long ago, he most likely has something interesting say about it. Over the years, my father has melded his love of exploring with his excellent memory and professional expertise (he’s an attorney in New York City who has litigated high profile cases for clients from the US, Europe, Africa and South America). The result: timely, often provocative, essays and opinion pieces that have been published both in America and overseas by outlets including The Litchfield County Times and The Country & Abroad, Scrisul Romanesc (Romania), Britić (Great Britain), and Pećat (Serbia). 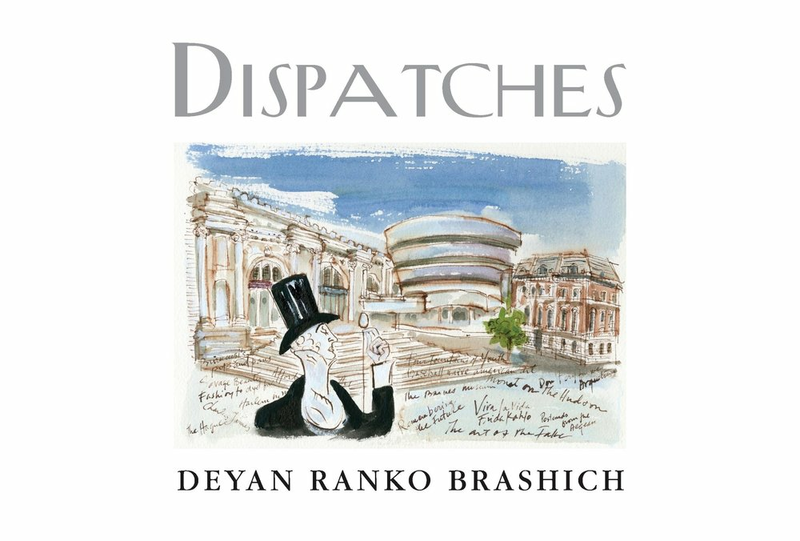 This summer, he’s published Dispatches, a collection of his work that includes high-quality images of the locations and artworks he discusses in addition to the most unbelievably stylish original illustrations by Daniela Kamilotis, an artist who is also a Senior Vice President at Ralph Lauren. "Flowers on the Breakfast Table in Winter at Smithtown, Long Island" by Dimitrie Berea. Isn't it amazing? The book is divided up into sections such as Museums (which includes a piece on Savage Beauty: the Alexander McQueen retrospective that was held in 2011 at the Metropolitan Museum of Art’s Costume Institute), Art and Artists (which features a piece on the Romanian painter Dimitrie Berea and his glorious, colorful impressionistic portraits), Places (where my father recounts personal experiences from places as near as Harlem and as far reaching at the Hague) and Et Cetera (which has a piece that explores the history of Tiffany’s famous stained glass, and the company’s original glass furnaces in Corona, Queens). So, this is not the way the Met's plaza exists in my mind. 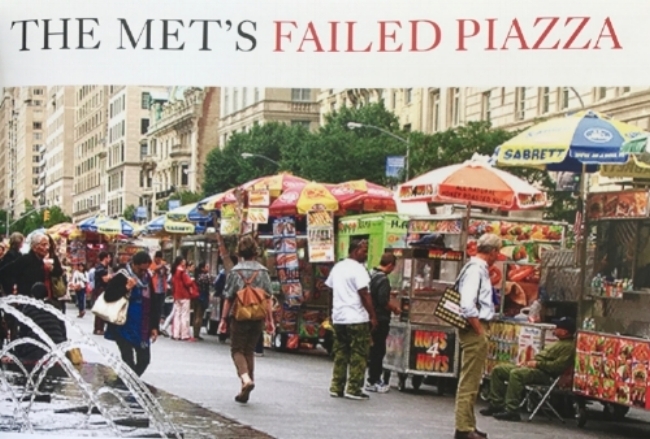 One of my favorites is titled The Met’s Failed Piazza, is a short-but-super-critical look at the overhaul the plaza in front of New York’s Metropolitan Museum of Art underwent from 2012-2014. I like this essay because in it, my father doesn’t mince words about the new iteration’s vibe (“[It’s] the very best of second rate architectural design that money—some $65 million—can buy”) and because I happen to agree. I don’t have a lot of first-hand experience with many of the topics my father tackles in his works, but the old plaza in front of The Met—with its elongated, oval fountains and unobstructed views—was actually where many of the influential moments of my adolescence happened to take place, and I’m sad it no longer exists in the form I remember so well. To see the neon sign of the dancing lady, sadly you must to go to the Bronx yourself. What’s astounding to me in reading his this paragraph and his other work is how my father catalogues away so many intriguing facts and impressions (because I can bet you he wrote the above all from memory), and then calls them up and weaves them into his perspective on a current news event or exhibition. It’s like one long and amazing college-level cultural history class that brings material to life via context and detail. Many of his essays are archived on his website Contrary Views, but reading them there might mean missing out on some of the gorgeous artwork that’s available in Dispatches. Plus, leafing through the essays in print feels like the correct pace given that many of them are based on his own wanderings and subsequent meditations, which I very much hope he’ll keep sharing with all of us.